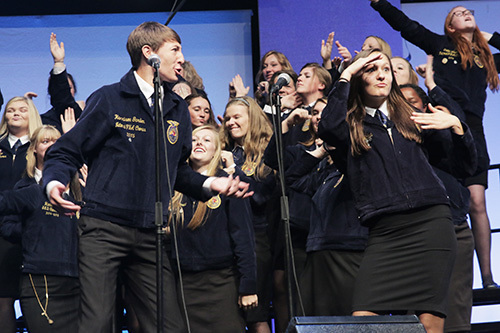 ​The National FFA Convention & Expo is a sea of blue jackets – FFA members from all corners of the nation converging in one place to celebrate their accomplishments and find inspiration for their next. Motivational keynote speakers, energetic concerts, fulfilling workshops and a sweeping Expo floor bustling with agriculture education and industry opportunities will have you snapping pics and grabbing videos of all of the experiences you'll remember forever. It is the week of the 21st in October.